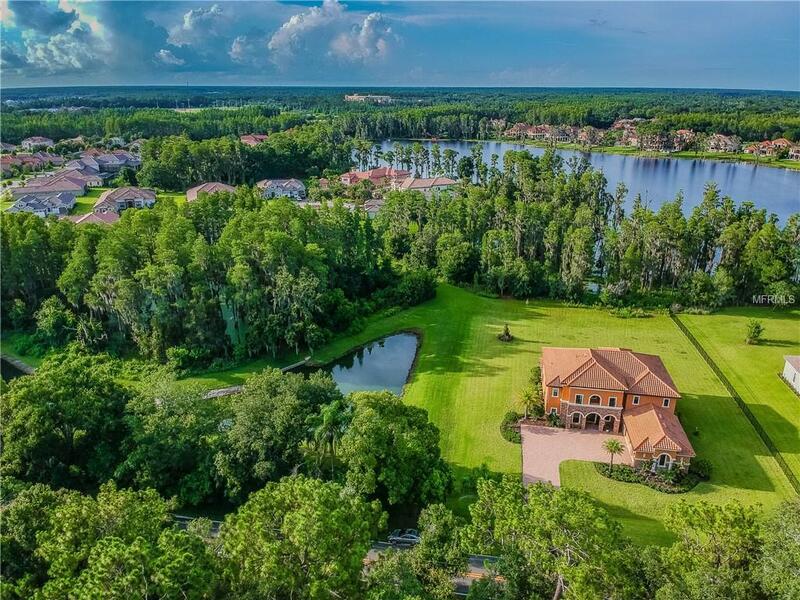 Lakefront Estate sitting on over an acre of land, outside community restrictions. 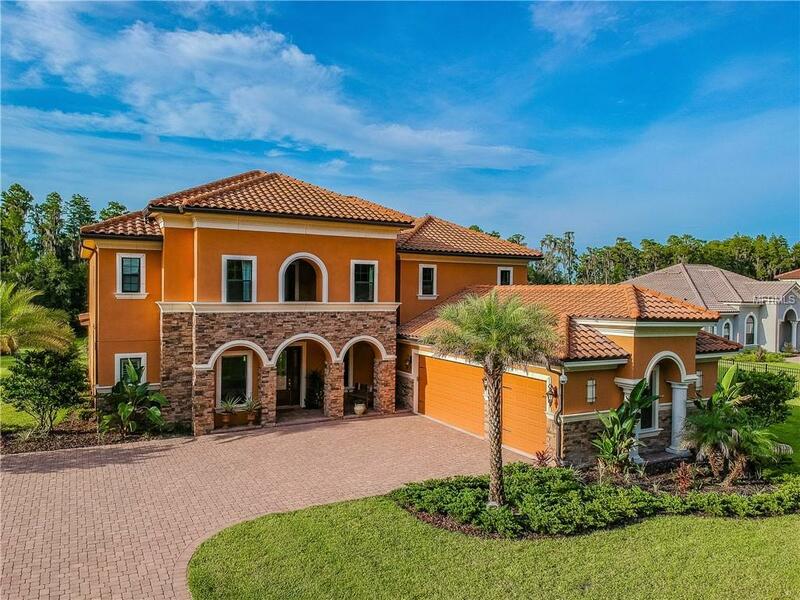 Built in 2015, this six bedroom, six bathroom, luxury home is move in ready and boasts gorgeous architectural details throughout. The spacious gourmet kitchen is the center of the house with double islands, built-in ovens, gas cooktop, breakfast nook with plantation shutters, and a walk-in pantry. From the stacked stone entrance to soaring ceilings in the living room, this colossal home showcases a grand floor plan with massive living and family rooms, a stunning master suite on the first floor, formal dining space, office/study, and an oversized upstairs loft with a scenic balcony overlooking the amazing backyard that is perfect for an active family that enjoys extra privacy as it tucks into a peaceful wooded pond and lakefront buffer. Key interior upgrades include: four spacious upstairs bedrooms, gorgeous hardwood and tile floors, crown molding, tray ceilings, remote-controlled shades in master, his and her custom built-out walk-in closets, central vacuum, 12 car paver driveway, and security cameras/alarm system. Located outside the gates, down the canopy tree road of the upscale Ladera community with access to the Crenshaw Lake and the side pond, with no HOA fees. 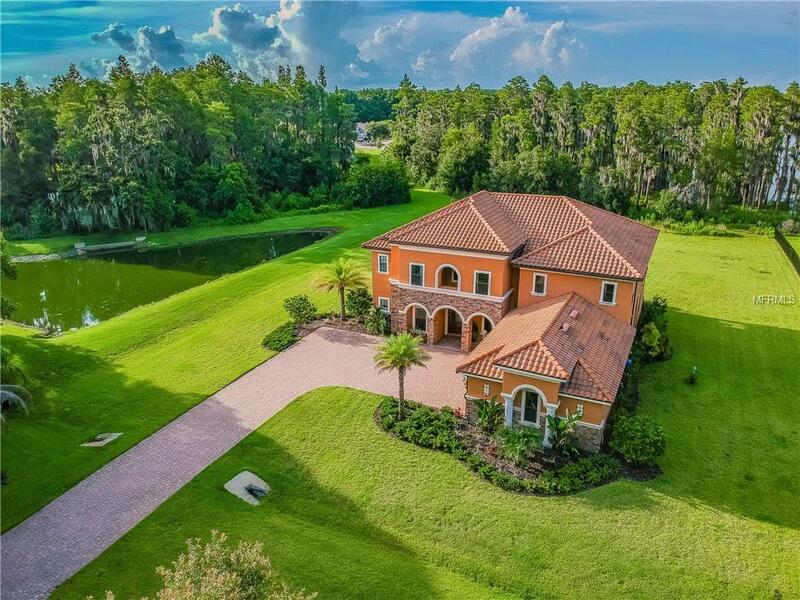 Zoned for the A-rated Steinbrenner School District, this home is only a short drive from Tampa International Airport, Veterans Expressway, Downtown Tampa, and endless dining/entertainment.